I’m currently in edits and want to make sure I can hit certain milestones before making any official announcements. But I’m itching to share some info with you. I’ll post a blurb once I have a firmer grip on a release date. Although part of The Men of Halfway House world, it’s a stand-alone novel. One character is new, the other is a familiar face from a prior story. This book is, first and foremost, a romance. It’s a slow burn. But there is heat in this story once they get together. Aside from the romance, it’s a story about trust, friendship, and family. Yes, there’s angst (I don’t think I can write without that)…but it’s not super heavy even though it’s very easy to be with their backstories. I believe the heaviness of the story is lightened by Dylan’s personality more than anything. 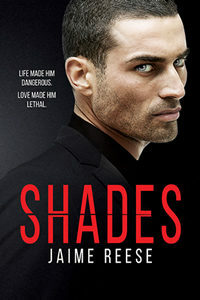 There’s a little bit of action/suspense, but it’s more about the romance than anything else. Some characters make reappearances. And some are only a brief mention because I didn’t want to shift the focus from the main characters and their relationship. The story will likely be around 120K. Dylan is the newest resident of Halfway House. He’s 23 and a hacker who just served 2 years for cybercrimes. He’s got blond hair, blue eyes, a colorful inked sleeve, and a monster attitude. He is fascinated with unicorns and loves color (and yes, there’s a reason why he loves both). The other MC refers to him as a firecracker. (His firecracker.) Dylan is honest, sarcastic, and often inappropriate. He’s ridiculously smart and a bit of a smartass. Okay, he’s A LOT of a smartass. There’s really only one man who can handle him. A quiet guy you might remember from Book 4. His name is Wall. Soooo looking forward to your new book. 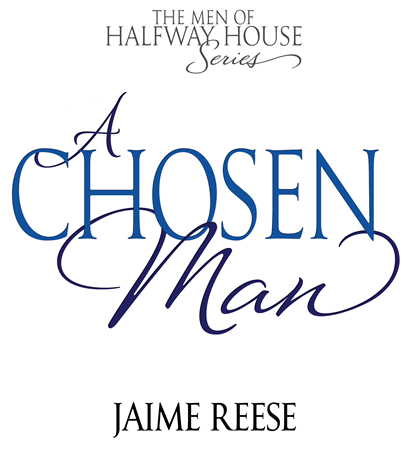 I will be re-reading books 1 through 5 until A Chosen Man is released. Woohoo! I’m so excited 🙂 I love your books! Yay, can’t wait!! Love your books! Can’t wait!! Love this series. The Halfway House series is honestly my favorite. I love so many books, but these are the ones I read over and over and over again to the point that I swear I have some of them memorized! 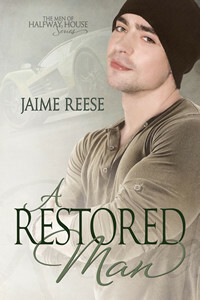 I can’t wait to get my hands on this book! Yes!! This is awesome news. I can’t wait i love the Halfway House serie. Just finished A Worthy Man and damn! This one, to me, is by far the best in the series. Can’t wait for A Chosen Man. Just joined your newsletter to stay informed.